In the short time I was in India, I tried to make the most of it by learning a few more dishes from mom - or should I say lazily overlooked while she did all the hard work..he he! My brother and I enjoy mom's finger licking Channa (Chole) and puffy Bathuras. 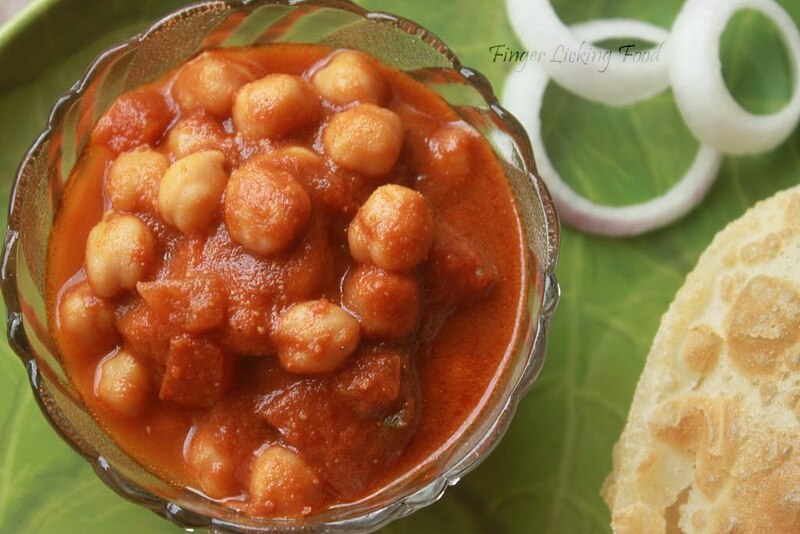 I've already told you about mom's special Chole ..made with aromatic spices and a tea bag. 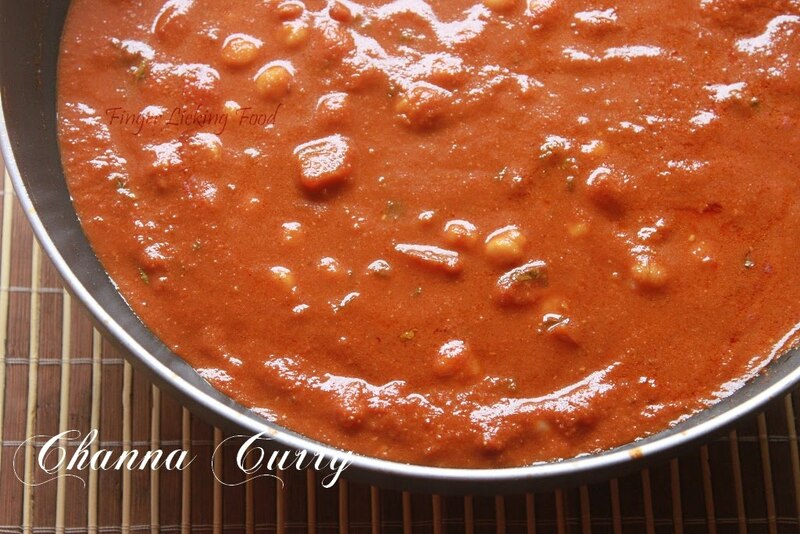 Add some scrumptious Bathuras to the mix and you have one delectable meal! Soak channa/chickpeas overnight. Pressure cook with a pinch of cooking soda till done(usually 3 whistles). Strain and reserve. Puree 4 tomatoes and keep aside. Chop the remaining. Powder the cumin seeds and pomegranate seeds. Then add a fistful of boiled channa, onions, jaggery, ginger garlic paste and red chilli powder. Grind to a smooth paste, add water as required. Add garam masala powder, salt and lime juice. Let simmer for 4-5 minutes. Do not over boil as you don’t want an overpowering taste of tea in the dish. Discard tea bag,garnish with chopped coriander and serve hot. Combine all-purpose flour, salt, yoghurt in a bowl. Add milk to this and combine until it all comes together to form a soft dough. The dough should be smooth and not sticky. Cover and let sit for 3-4 hours. Knead dough well. Divide dough into 5-6 balls. Roll each into a circle and deep fry in oil until puffed. Place on paper towels to drain excess oil and serve hot with the Channa curry. 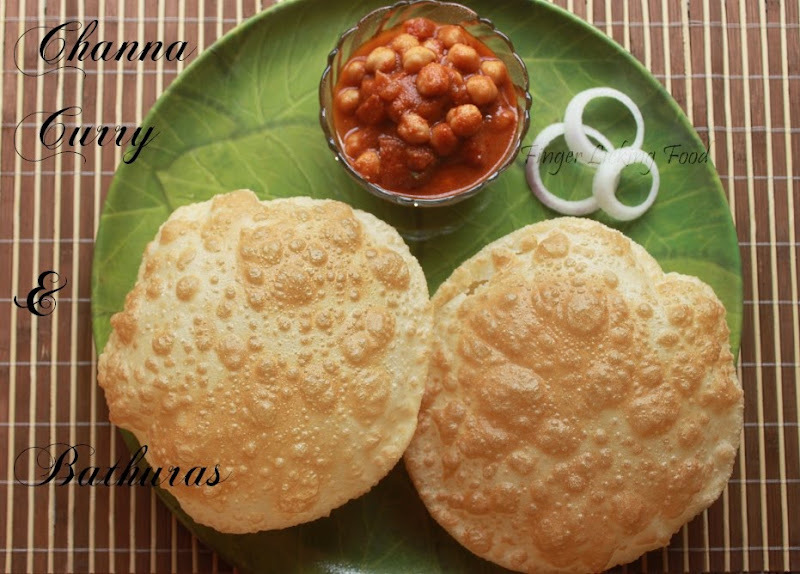 droolworthy and yummilicious channa batura. wow!!! 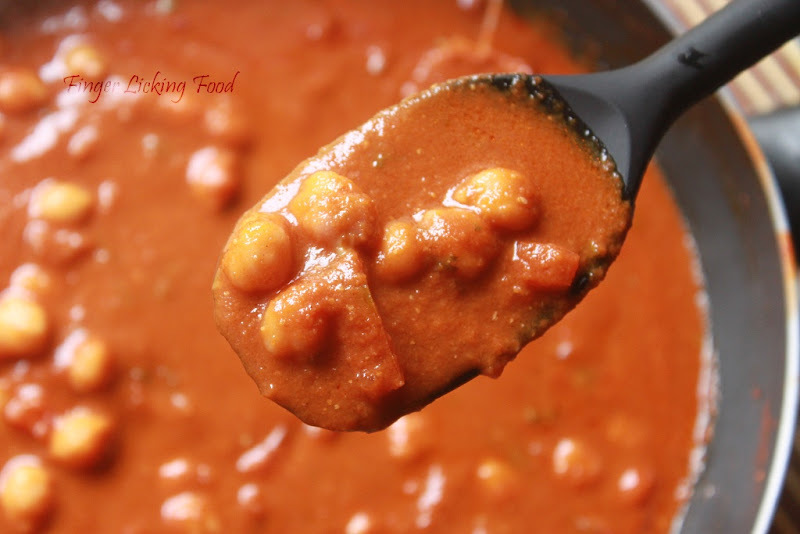 chana masala recipe sounds totally different. Love it. Nice recipe. looks super yummy...inviting dish...first time here...u hv a lovely space...following u>>>>>>>>>>>do visit my space as per ur convenience...and participate in my ongoing event A Visual treat..
nice recipe. y do u add tea bag? @ Shruthi, a tea bag adds flavor to the curry. he combination of spices and a tea bag makes this curry different. Hey Namratha, welcome back!!! give me chole bature anytime:) the pics are drool worth!!! 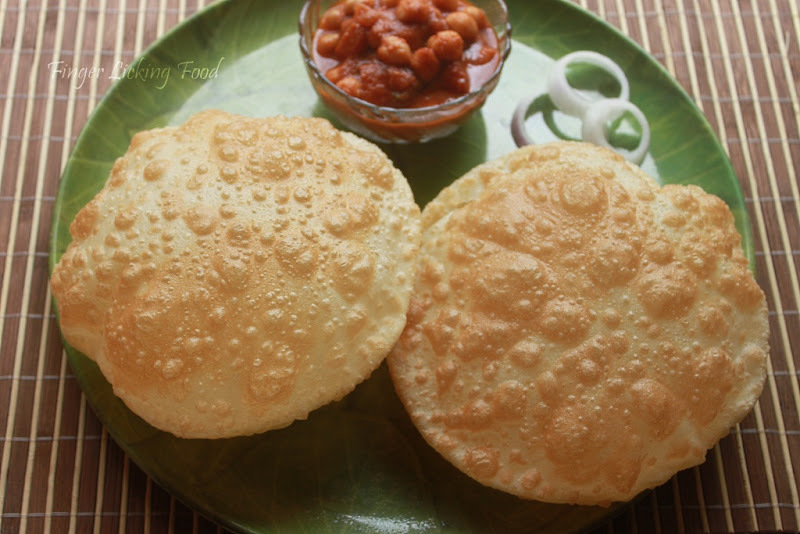 I love chana bhatura and the pics are so tempting... Yumm! You are so cruel - making me salivate like this ;). 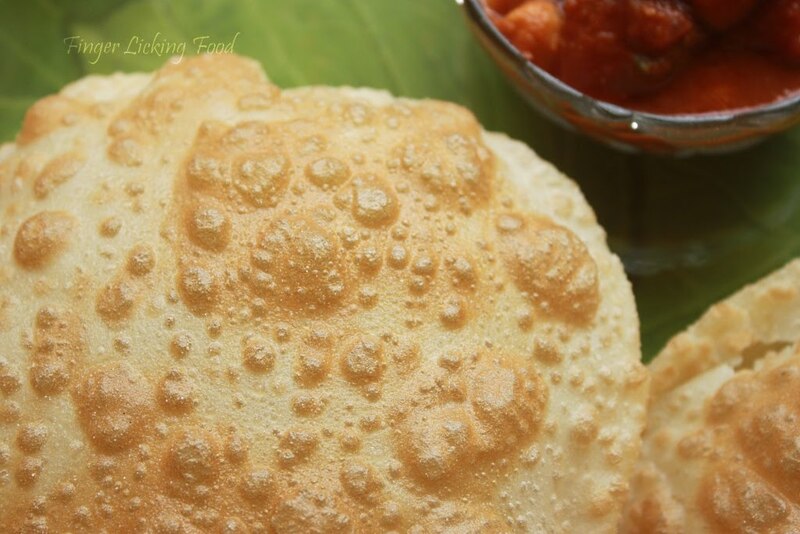 the classic Chana Bhatura looks so darn delicious Namratha. Welcome back. Hi, The Bhatura looks great. May I ask what oil you use to fry these? Preethi, I use Vegetable oil.